『삼강행실도(三綱行實圖)』는 세종대왕의 지시로 편찬된 책으로, 삼강오륜(三綱五倫)의 실천을 중요한 윤리도덕으로 삼는 조선에서 국민윤리교과서적 성격을 갖는 교본인 동시에, 뒤이어 편찬한 행실도류(行實圖類) 도서의 전범(典範)이 되는 책이다. 『삼강행실도(三綱行實圖)』는 세종조에 편찬된 한문본과 이를 토대로 수록 인물을 3분의 1로 줄여 선정하고 상단에 한글(언문)을 수록한 산략(刪略) 언해본의 두 계통이 존재한다. 전자는 분량이 과다한 관계로『삼강행실효자도(三綱行實孝子圖)』,『삼강행실충신도(三綱行實忠臣圖)』『삼강행실열녀도(三綱行實烈女圖)』로 필요에 따라 어느 하나만을 인출한 관계로 3부 모두가 전래하는 완본은 알려진 것이 없고, 효자도, 충신도, 열녀도의 부분별 전본도 그 수가 일부에 지나지 않는다. 『삼강행실도(三綱行實圖)』는 1434년(세종16)에 처음 편찬 간행할 때에『삼강행실효자도(三綱行實孝子圖)』,『삼강행실충신도(三綱行實忠臣圖)』『삼강행실열녀도(三綱行實烈女圖)』의 3부로 구성하고, 중국과 한국의 역대 인물에서 선정된 효자, 충신, 열녀 각 110명씩 330명의 사적을 정리한 사적(事蹟)과 이를 찬양한 내용을 담은 시(詩)와 찬(讚)을 수록하였다. 『삼강행실효자도(三綱行實孝子圖)』의 경우 시는 『효순사실(孝順事實)』에 수록된 칠언절구(2수)를 옮겨 실었고, 찬은 『효행록(孝行錄)』에 실린 이제현(李齊賢)의 찬을 전재한 것이다. 이 두 책에 수록되지 않은 인물의 경우는 편찬에 참여한 집현전의 학사들이 나누어 지은 것이다. 조사 대상본의 목록에 수록된 110인은 중국의 인물이 89명이고, 한국의 경우는 신라 2명, 백제2명, 고려 7명, 본국(조선) 11명으로 모두 22명이다. 중국의 인물은 한(漢)이 21명으로 가장 많고, 당(唐) 11명, 송(宋) 10명, 원(元) 10명 순이다. 책의 편집체제는 1명을 1판(장)에 배치하고, 접었을 때 앞면에 해당하는 부분에 표제와 함께 그림을 놓고, 뒷면에 해당하는 부분에 전기와 시찬(詩讚)을 배치하였다. 시찬과 문장은 모두 읽기 쉽게 백권점(白圈點)으로 단구(斷句) 되어 있다. 그림과 단구의 표시는 이 책이 국민교화용으로 제작된 윤리독본이라는 성격을 잘 보여주는 부분이다. 이 『삼강행실도(三綱行實圖)』는 광곽(匡郭)의 변란(邊欄)이나 계선(界線) 및 자획(字劃), 화면(畵面)의 상태로 보아 1434년(세종 16)에 판각된 판목에서 비교적 이른 시기에 인출한 책으로 사료된다. 비록 4건의 탈락이 있기는 하나 전존본이 희귀하고 보존상태도 비교적 양호하다는 점에서 귀중한 가치를 갖는다. 특히 조선전기의 서지학 연구 및 한문표점의 연구, 회화사 연구의 귀중한 자료로 평가된다. 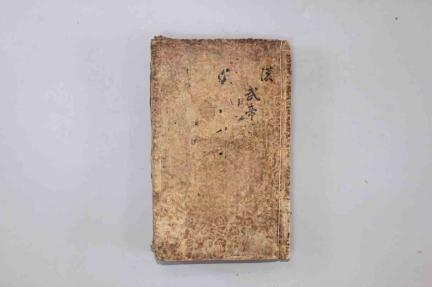 Samgang haengsildo (Illustrated Conduct of the Three Bonds) was published in 1434 (the 16th year of King Sejong’s reign). 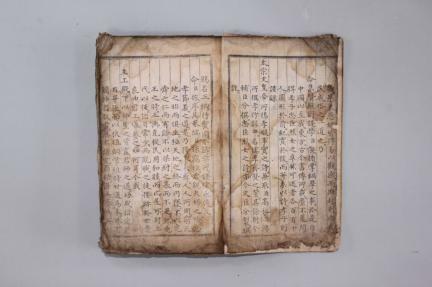 The first edition of this book consisted of three parts, devoted respectively to filial sons (Samgang haengsil hyojado), loyal subjects (Samgang haengsil chungsindo), and faithful wives (Samgang haengsil yeollyeodo). It featured the biographical accounts of three hundred-thirty Korean and Chinese historical figures, deemed exemplary for filial piety, loyalty to the suzerain or faithfulness to the husband (one hundred ten figures chosen for each of the three virtues), along with poems and eulogies on these three hundred-thirty people. Samgang haengsil hyojado, the part on filial piety, features two seven-word quatrain poems and eulogies by Yi Je-hyeon, quoting from Hyosunsasil and Hyohaengnok, both of which are books on the theme of filial piety. 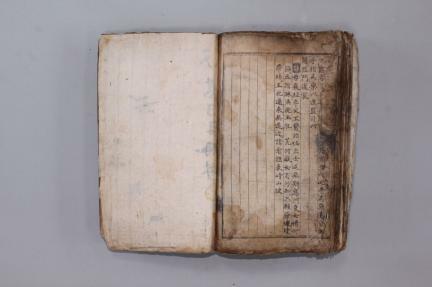 Texts about figures other than those included in these two books were written by scholars of the Hall of Worthies who were the editors of Samgang haengsildo. Of the one hundred ten people whose stories are told in this part of the book, eight-nine are Chinese, and twenty-two Koreans. Meanwhile, the twenty-two Koreans break down to two Silla, two Baekje, seven Goryeo and eleven Joseon people. In the case of Chinese figures, people from the Han Dynasty account for the large share of twenty-one, followed by Tang-dynasty (eleven), Song-dynasty (ten) and Yuan-dynasty (ten) people. One leaf of the book is divided to each figure. 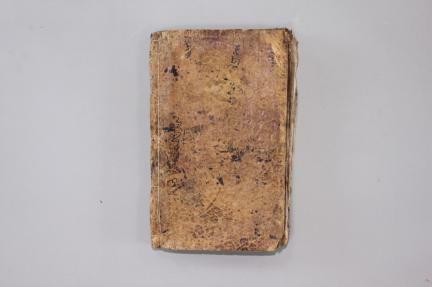 The front side of each leaf features the title and illustrations, and the biographical account and poems and eulogies are placed on the back side. 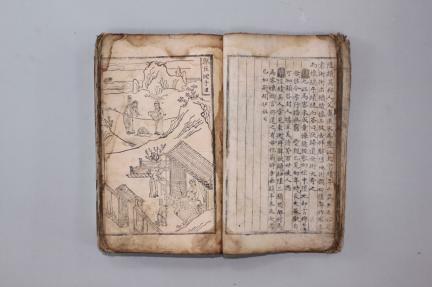 The insertion of illustrations and the use of dangu markings are well in line with the educational purpose of this book meant to enlighten the people of Joseon about ethical values and promote good mores among them. Samgang haengsildo was published on the order of King Sejong as a guide to ethical conduct for the people of Joseon, a society for which the so-called “samgang oryun (three fundamental principles and five disciplines in human relations)” were fundamental values. 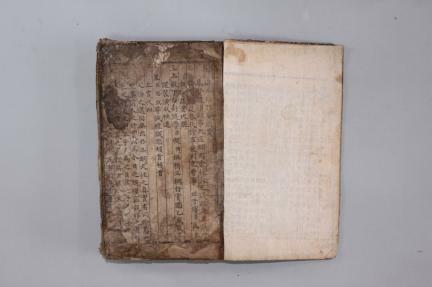 This book had set a precedent and served as the prototype for haengsildoryu, a book on ethical conduct of similar type published in a later era.There are two versions of Samgang haengsildo: the one published during the reign of King Sejong, with text written in Sino-Korean characters and an abridged and annotated version, published at a later time, with the number of people included reduced to one-third of the original number and a parallel text in Hangeul. Due to its vast size, the original version was re-printed in subsequent eras, in shorter versions containing only one of the three parts; namely the part on filial piety, loyal subjects or faithful wives. This is why there is no extant complete copy containing all three parts. 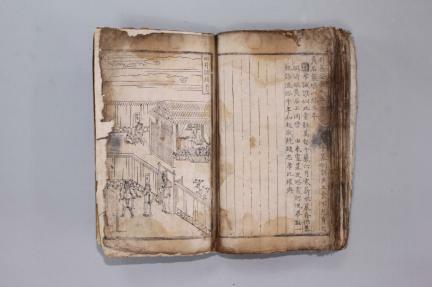 Few copies, in fact, have survived, even among those containing single parts.Judging from the width of the page margins, number of lines and character strokes and the overall page layout, this copy of Samgang haengsildo appears to have been printed relatively soon after 1434 (the 16th year of King Sejong’s reign) when the woodblocks for the book were carved.Although four of the entries are missing, this copy is, nevertheless, inestimable in value, especially given the extreme rarity of complete copies and considering its comparatively good state of preservation. 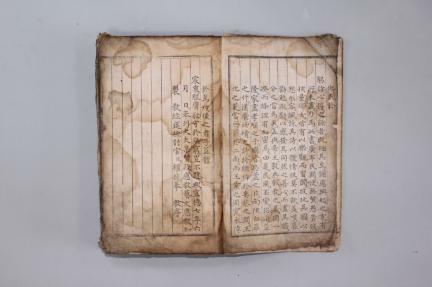 This copy of Samgang haengsil hyojado is of high significance for bibliographic research into the early Joseon Period and the study of Sino-Korean text markings, as well as for the history of painting.